VERY GOOD This item is rated in Very Good condition. That means that this item is between 80-89% of original condition. This item has been tested as fully operational and includes only what is photographed in the listing. The photographs are of the actual item for sale.Other NotesInternal haze, heavy dust and debris. External wear. Original condition. Local Pickup. We want you to receive the item as quickly as possible! Intentional or accidental abuse or neglect. This warranty does not cover. The Nikon 50 mm lens, featuring 6 elements in 4 groups, enables the photographer to set the focus differently for each click. 52 mm filter of this Nikon lens allows you to click perfectly illuminated pictures. 6 straight diaphragm blades of this Nikkor-H auto lens control the amount of light that needs to be channeled into the camera. The Nikon 50 mm lens, having a complete metal built, is sturdy. Having an aperture of f/2.0, this Nikon lens produces sharp and vibrant pictures. This Nikkor-H auto lens having a 50 mm focal length captures clear images of objects even from a distance. Weighing only 205.9g, the Nikon 50 mm is light enough to carry around with you to your shoot. Affordable lens, but in this case cheap does not mean bad quality - one of my favorite lenses.Sharp all around, nice bokeh, colors, there's just nothing bad about it. Okay, the f: 2 aperture is not exceptionally fast, but in all honesty there is no difference between 1.8 and 2.0. There's no need to stop it down, it's sharp even wide open. I use it on my Nikkormat and when I just want to have fun I put it on my D600 and use it without a problem, and the vintage look of the lens on a new DSLR, stunning. It's really simple to get some artsy bokeh effects with this lens, and it has a nice creamy tone to the pictures (nothing that can't be corrected in post) It's beefy and all metal construction. but because it has no autofocus you really have to construct a shot and think about your aperture, shutter speed, iso, distance to your subject, and light levels. which is hard for beginners, but should be bearable for those who take enough time to learn the basics and their gear. Totally worth the price though. This lens in a very reliable 50mm optic in 1:2 aperture and enjoys a very modern Nikkor multi-coating. It is NOT an AI-compatible lens, but is usable on a variety of vintage Nikon cameras. I am currently investigating if it can be mounted for manual use on Nikon autofocus cameras. 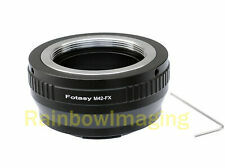 If you can find this lens at a reasonable price, you should do so; it is well built and reliable. Awesome Lens, great results! Awesome Value for this lens! I wanted to purchase a prime lens to get a lot closer crisper shot! I am a rookie but find it easy to use- So far I like it! I had to google how to use this lens with my Nikon D90. You have to lock the Setting at 22 then use the camera to set the lens. Once I found that out- it shoots Great shots~! The lens functions very well. I purchased it to complement a vintage Nikkorex camera. I haven't used it yet but I see no reason why it wouldn't, work well. Good value.